The National Healthcare Collectors Association (NHCA) held its 47th Annual Spring Conference recently in Scottsdale, Arizona. We attended many sessions and networked with a number of people in the healthcare collections industry, leaving with takeaways and insights into common collection agency struggles. In particular, we garnered significant information related to technology and compliance concerns. Healthcare collection technologies and services hold many benefits to agencies and medical offices. However, due to the litigious environment in collections, there is significant hesitation to utilize many of the cost and time savings tools available in other markets. Agency heads were anxious to understand how current regulations and standards could change under the new administration. There was a positive outlook with change to the head of the FCC that came with the new administration—Ajit Pai was one of the most outspoken dissenters on the declaratory decision in 2016. In addition, discussions amongst many in Washington regarding the desire to completely eliminate the CFPB was a source of hope. While we can’t cover all we learned at NHCA in detail here, we will give some broad highlights related to healthcare collections, technology, and compliance in 2017. Attorney Peter Velde, senior partner at Kightlinger & Gray, LLP, led the session about compliance. He narrowed in on healthcare collections’ big three. He then proceeded to cover some of the latest updates surrounding them. The 2016 Year in Review results proved rather interesting. The TCPA continued its upward trajectory. The FCRA stagnated somewhat while FDCPA consumer litigation declined. Despite the numbers, the report states, “Punitive class actions were all fairly robust.” Roughly 16 percent of all suits filed were filed on the behalf of a class. In total, 14,401 consumers filed complaints last year. Those numbers may or may not decrease with the new administration. Rumors are circulating that the TCPA could be revised as early as mid-summer 2017. Even if that happens, healthcare collection agencies need to safeguard themselves—in the present. Another point of emphasis was the importance of the “intake” person—a role that should not be taken lightly. The information gathered there can make the difference in subsequent litigation. One suggestion was to make sure the patient has to note their cell number each and every time they call in (not just verify that the existing information is correct). This will go a long way to ensuring that they have “given consent” to call their cell number. It is also critical to demand more careful oversight of third-party vendors, especially regarding their use of personally identifying information. TCN was part of a discussion regarding additional options for compliance through technology. TCN’s Manually Approved Calling (MAC) platform increases manual dialing efficiency by approximately ten times, while providing sufficient separation and human intervention to meet TCPA concerns. There was also a discussion about the effectiveness of, and compliance concerns surrounding Direct Voicemail Drop technology. This tech allows an agency to leave a patient a voice mail on their mobile phone without making a voice call to the phone. One of the NHCA members mentioned that they are currently using this technology and it had been very successful for them. The overall experience was very rewarding. The ability to communicate with industry leaders in smaller groups and learn from each other was invaluable. There were many concerns about how to avoid litigation while making every effort to meet compliance requirements. Decisions from the various court districts can be conflicting and confusing, and more work is needed to clear that fog of confusion. 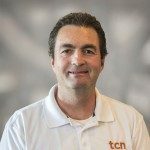 TCN is here to help agencies, departments, and other entities collect debt the right way, the profitable way—the compliant way. To get started, request a demo today.